Man… Nimby and Ace within a month of another… (and then there’s that whole stock market crash thing). This is too much! 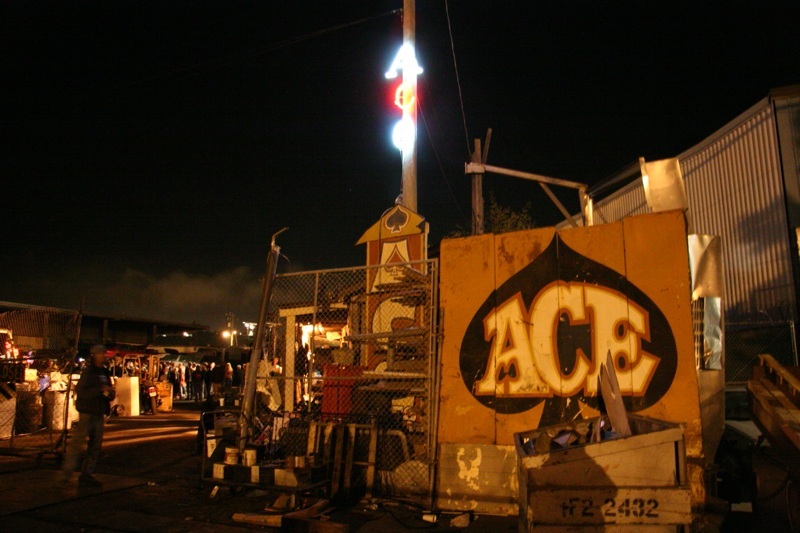 Well, it looks like the end of Ace junkyard as we know it. Our landlady is not going to renew our lease (and no amount of consciousness-raising, hippie-poi-ball-swinging or fire-oriented fundraisers is going to help, sadly). Things are looking pretty damm bleak right now. It been 25 years and the last 15 after me and most of you found each other have been especially fabulous. While many think I am the generous one, in fact, quite the opposite is true. 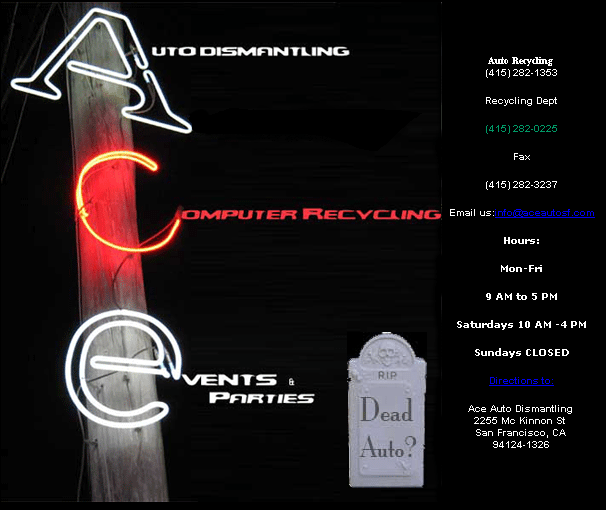 I given you junk, you have taken this junk and turned it into amazing art, exciting happenings and and ton of fun ad good memories. Thanks to all of you, my life has become much richer. This a richness no amount of money could ever buy, because of all of you and what you create from the junk I give away.Here my heart, mind and soul is filled with wealth from the friends I have found, and the parties and events here. This past Saturday, night someone said to me “For every door that closes, another one opens.” So let’s hope our next adventure is even more memorable, after all, it’s just the place that’s closing, you and me all still here. One more thing: over the years, you guys have helped me get rid of so much junk, now I need to ask one last favor of all of you. I’d like you to send me pictures, video, stories, etc about this place. Show and tell me about the art or project that we helped you with. It been a hell of ride, thanks to all of you for the love and aloha you have given me.